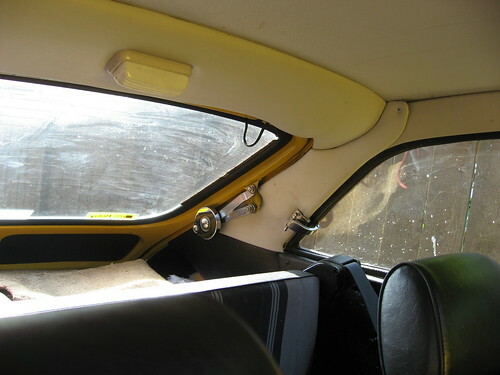 The interior is in pretty good nick. I really like the chrome boot hinges and rear side-window levers. It's touches like these which make this car stand out from modern interiors. You do have to watch your fingers when dropping the boot though as once the springs in the hinges let go the whole weight of the hatchback drops suddenly - best to hold onto the outside handle as you close it.